Heat oven to 400°. 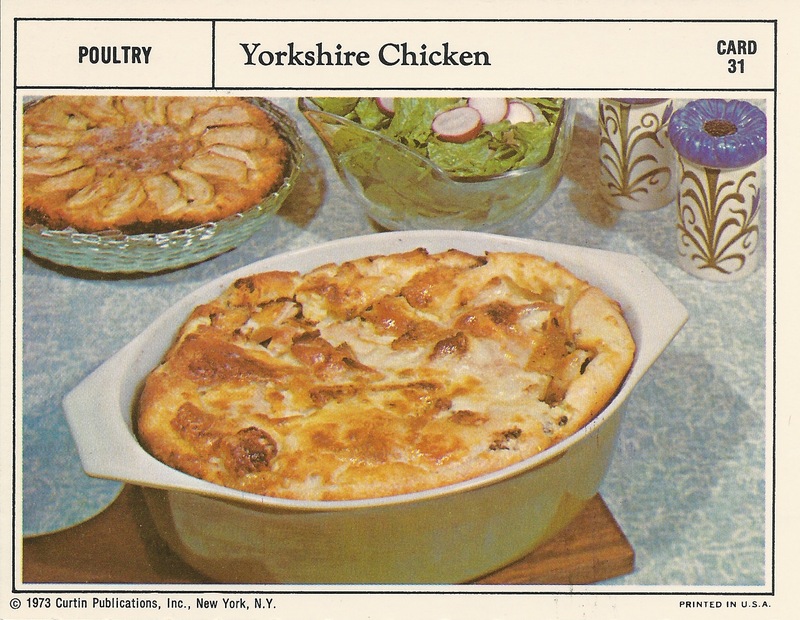 Place chicken and drippings in a well-greased 2-quart casserole; put in oven to heat. Beat eggs in a bowl; add oil and milk. Sift dry ingredients and blend with liquid mixture. Pour batter over heated checking and return to oven for 30-35 minutes or until golden brown. © 1973 Curtin Publications, Inc. New York, N.Y. Printed U.S.A.
My mom used to make this all the time actually not bad..